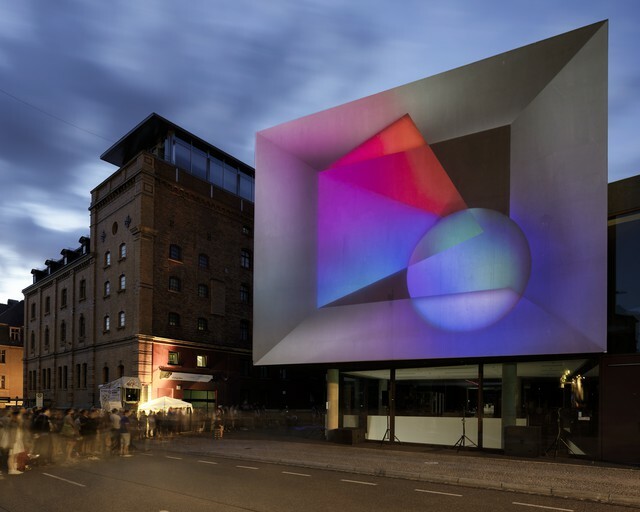 “Solar Shimmer” was a kinetic, light-emitting media screen made from reused waste and powered by the sun. Created through a collaboration between the London-based architect Eleonora Nicoletti and the American sculptor Anthony Castronovo, it was built in Doha involving visitors through educational workshops on solar art and architecture. Designed by Eleonora Nicoletti and Anthony Castronovo, “Solar Shimmer” was exhibited in at the Fire Station Artist in Residence in Doha during November 2017, as part of the first-ever Solar Art Festival in the MENA Region, which was presented by Qatar Solar Technologies (QSTec) in collaboration with Qatar Museums. 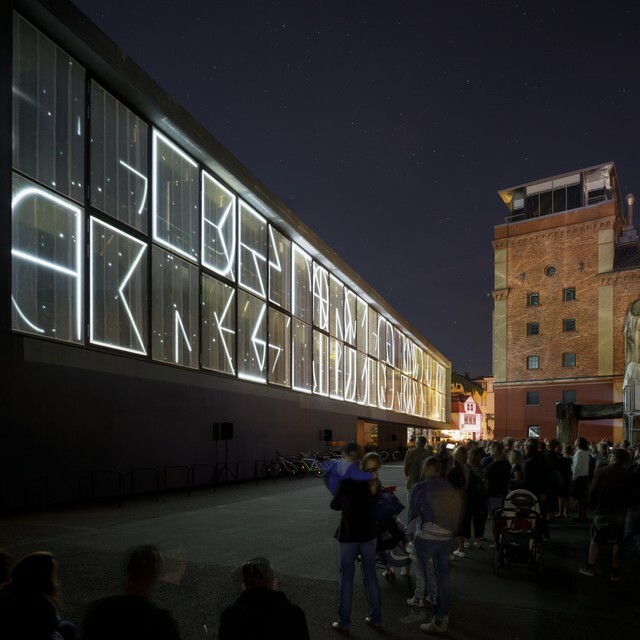 Inspired by motifs recurring in Bedouin textiles, “Solar Shimmer” was a temporary kinetic screen that displayed a vibrant, geometric pattern evoking references to the local culture, and was created using solar energy, LED lights and discarded plastics with the aim to reduce the waste. The physical “pixels” forming the geometric pattern consisted of solar-powered LED lamps adorned with colourful lampshades made from reused plastic bottles. The solar lanterns were juxtaposed with repurposed CDs that shimmered whilst swinging in the wind. These were attached on modular structures commonly used as temporary fences around Doha, as part of construction sites. 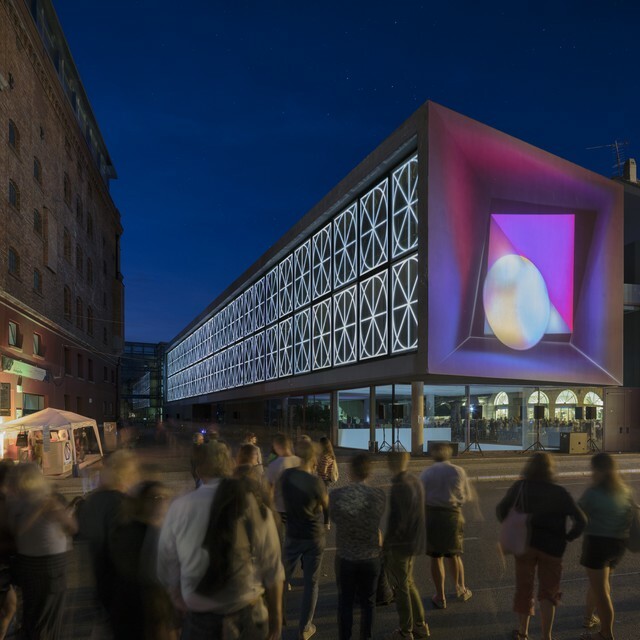 While dynamically reflecting sunlight during the day, the art installation glowed at night in a completely self-sufficient way, seemingly changing depending on the distance it was viewed from and on the wind speed. The audience was actively engaged in the creation of the artwork. Visitors including students from local schools personalised the physical “pixels” during educational workshops on solar energy and its relation to architecture and art. They contributed to the completion of the media installation by decorating the repurposed plastic bottles and by writing messages on the back of the CDs. People could interact with the media screen by instantly switching on or off each solar-powered “pixel” as they approached and touched the photovoltaic cells.